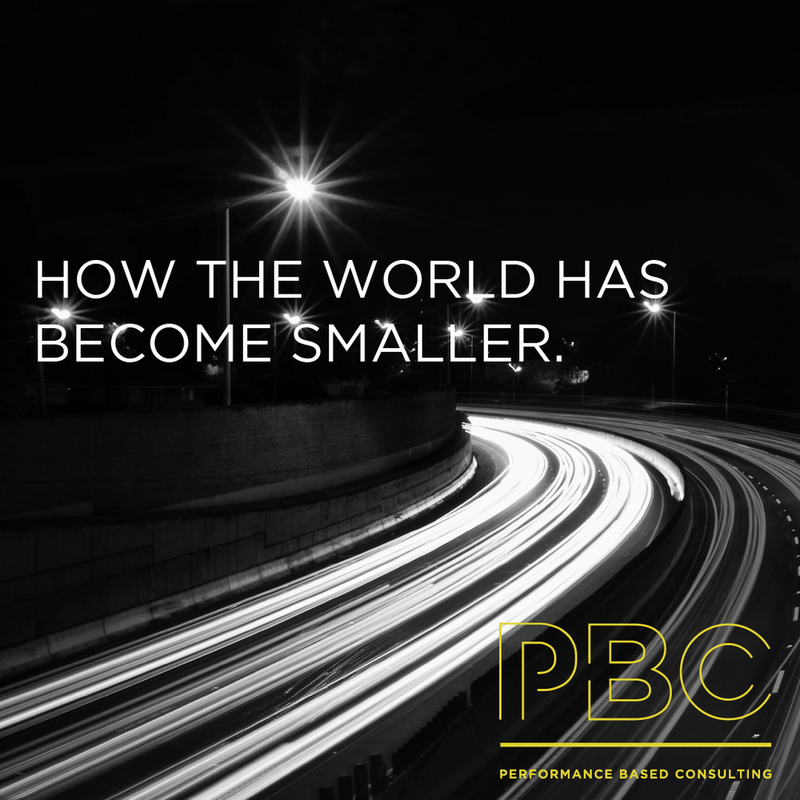 Performance Based Consulting - How the world has become smaller. How the world has become smaller. The natural barriers such as the mountains, seas and vast distances have divided the world and hindered our reach. With the advancements in transportation technology, these barriers have been overcome. It’s bought the world to a higher level connectivity physically, bridging cultures together. Humans as a species have continuously been expanding our potential to break through barriers in part due to our unique relationship with machines. Humans can not fly or break the sound the barrier alone but only with the collaboration of built machines. At PBC we embrace collaboration with all stakeholders to ensure all communication is acknowledged. Collaborating as early as possible to provide the best performance-based solution with efficiency and flexibility. It’s not just our world that is becoming smaller - our reach beyond the Earth’s atmosphere has been extended; a barrier that once thought of as insurmountable. We broke through the atmosphere and set foot on the moon. In 1936 The New York Times said, “A rocket will never be able to leave the Earth’s atmosphere”, but only 80 years later we have over 1000 satellites in orbit. While it is difficult to predict the future, we should never doubt our abilities to push boundaries and further our reach. We uphold this attitude when designing performance-based solutions that cover all the details, delivering the highest calibre of work for our clients. As we can’t predict the future but you can be sure we’ll do utmost to make sure the future is safer and prepared for it. So shall we work together to make the world a safer place? Newer PostWhy Workplace Health and Safety has almost nothing to do with offices and everything to do with people.